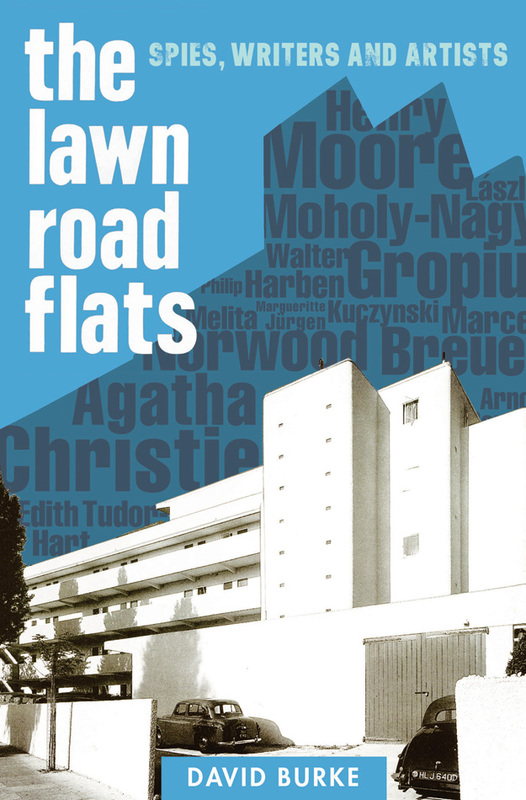 This month we have 4 copies of The Lawn Road Flats by David Burke to be won. A modernist first, London’s Isokon building attracted writers, artists, architects – and some of the most dangerous spies ever to operate in Britain. Completed in Hampstead in 1934, the Isokon, better known as the Lawn Road Flats, contained 32 apartments and was home to, among others, Henry Moore, Agatha Christie, historian V Gordon Childe, Bauhaus-founder Walter Gropius, designer (and Bauhaus member) Marcel Breuer, novelist Nicholas Monsarrat, and several senior civil servants. But many of their neighbours were hiding dark secrets. Arnold Deutsch was a senior Soviet agent and controller of the infamous Cambridge spies Philby, Blunt, and Burgess. Eva Collett Reckitt, heiress and owner of Collett’s bookshop, was an active Soviet spy, and the four members of the Kuczynski family who were in residence were all agents – probably the most successful family of spies in the history of espionage. For the first time, David Burke, historian of intelligence and international relations, explains the history of this remarkable building, how it came to capture the imagination of so many important and creative men and women, and why so many spies were drawn to it.